​Electronically controlled reshaping machine guarantees efficient production with consistently high quality. 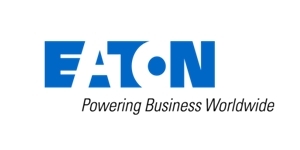 Eaton Walterscheid WALFORM Machine is an electronically controlled cold reshaping machine that handles cold reshaping of hydraulic steel & stainless steel tubes with outside diameters from 6 to 42 mm. The WALFORM cold reshaping machine creates a profile ring in the tube itself resulting in the recognized pressure point felt during in service assembly. 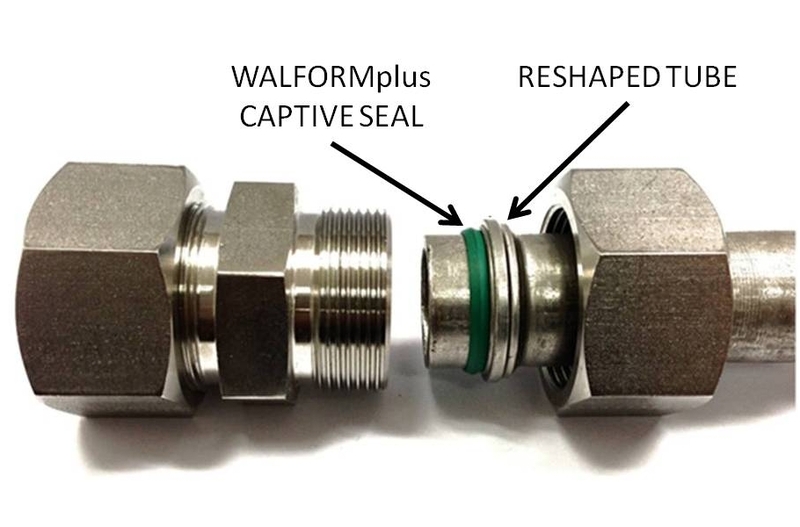 The only possible leakage path is primarily sealed off by the tried-and-tested WALFORMplus captive seal and secondarily by the metallic seal between the patented WALFORMplus shoulder and the fitting body. Simple and practical assembly process can be carried out by anyone. Small number of components reduces material and logistics costs. The system guarantees reliable tube retention, even under high dynamic loads. ​*Minimum rental period is 2 weeks. *A security deposit of SGD 12,000; equivalent to 2 months’ rent is required for all rental. Terms and conditions under Equipment Rental Contract applies. A copy of Equipment Rental Contract is available upon request of quotation. Complete range of hydraulic steel, stainless steel SS316 tubes and fittings also available. 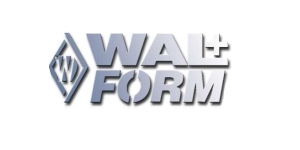 What is a Walform machine? 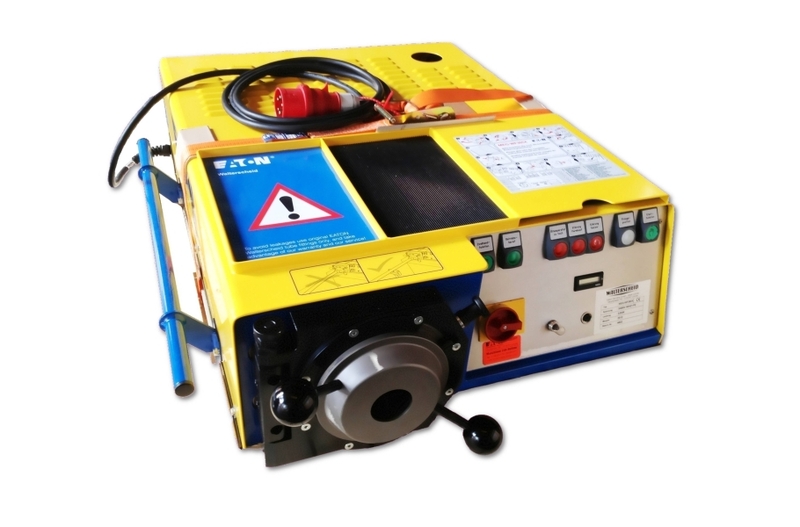 Walform machine is a portable tube reshaping machine used in a walform plus tube fitting system that produces high quality tube connections. What is DIN 2353 and what are the applications of these tube fittings? DIN 2353 fittings are a range of metric tube fittings made in accordance to ISO 8434-1 standards. They are also known as "Compression-Joint", or "Bite-Type" fittings as the profile ring in the fitting "bites" onto the tube to create the connection. These fittings are used to connect hydraulic tubes together to form a hydraulic line that allows fluid to flow through at high pressures. A simple hydraulic line in a vessel or an oil rig can easily comprises of up to hundreds & thousands of DIN 2353 fittings. What is the current process for conventional tube fittings and what are the risks involved? ​Under the conventional method of connecting tubes using DIN 2353 fittings, the profile ring cuts into the surface of the tube and reshapes it when the nut is tightened. This in turns create a groove for the fitting to grip onto the tube (Figure 2). There are two points to note here. Firstly, this procedure can only be performed by trained workmen who have undergone a course on assembly and alignment of DIN 2353 fittings. Secondly, it is more suitable for low volume production, repair works, and in environments whereby there is no power supply being made available. Having said so, there are still risks involved because the process is prone to human errors. During the tightening process, the workmen can over or under tighten the nuts and when this happens, it can lead to leakages which can pose serious dangers under high pressure. Leakages can lead to slip and fall hazards, fire danger, as well as contamination of the environment. Even a pinhole leak can release hydraulic fluid that is enough to penetrate both clothing and skin.The danger it can bring is definitely life threatening. 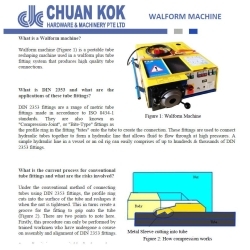 What are the benefits of replacing the current process with walform machine? With the use of a walform machine, the tubes get reshaped (Figure 3 and 4) by simply inserting the tube into the configured walform machine, creating a profile ring in the tube itself. A viton seal acts as the leakage block and tubes can be connected easily just by tightening the nut. With these in place, there is consistency and quality control over all the tubes, making them more reliable and safer than before. The risks that stem from improper assembly of the tubes as mentioned earlier can be reduced dramatically, creating a safer working environment. Businesses can also save on manpower costs with the use of walform machines since it only requires one man to operate one machine. Lesser time is also required to configure a tube and this means that businesses can now handle larger volumes instead of being restricted by the use of the conventional method. On top of all these, the assembly using a walform machine can be repeated multiple times and yet remain intact unlike the conventional method whereby the tube fittings can be damaged by over tightening. This reduces wastage as well as costs of replacing the tube fittings that are damaged in the process. How does the equipment increase or enhance productivity of the business (for example in terms of reduced man-hours, more output or improved work processes)? The process of reshaping a tube is made simpler with the shift from manual method to partial machine method. The only thing the workmen need to do is to insert the tube into the configured walform machine. 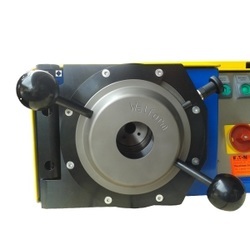 With the risks of leakages being reduced by the use of a walform machine, the performance efficiency can be improved which in turn improves the overall effectiveness of the equipment. This is because in hydraulic machinery, the primary cause of reduced performance efficiency is often caused by internal or external fluid leakages. Businesses can also avoid purchasing new equipments and tubes prematurely. The life cycle of the equipment and tubes can be extended significantly hence, reducing unnecessary expenses. The time required to reshape a tube using the walform machine is 5 to 8 seconds versus the manual method at approximately 1 minute. Businesses save approximately 52 seconds to 55 seconds for each tube connection and this transform to 6 to 11 more tube connections than the manual method for each minute. Thus, the overall productivity and output increases. Last but not least, businesses do not need as many workmen since only one man is required to operate one machine. Given that more tubes can be produced with lesser manpower, man-hours is reduced substantially too.